The sun is shining brightly! There is very little snow on the ground. It is about 5 degrees on this Monday morning. Happy Feast of the Presentation of the Lord! * My husband who is so patient with me, especially when I am in denial that I am crabby and tell him that he is the one who is crabby. Oy! * The quiet. Whenever I can get it, I am grateful for it. * My Eucharistic Adoration hour. It is not quite a natural part of my week, as I still have to remember to go. But I love it. And I know it will only become more routine in time. * A fun evening with Greg as well as my friends Margaret and Tracy and their husbands! * How I failed my main January goal of losing two pounds. Totally failed. Not to make excuses, but January was a really tough month for me, so I know why I failed. But I am not beating myself up! 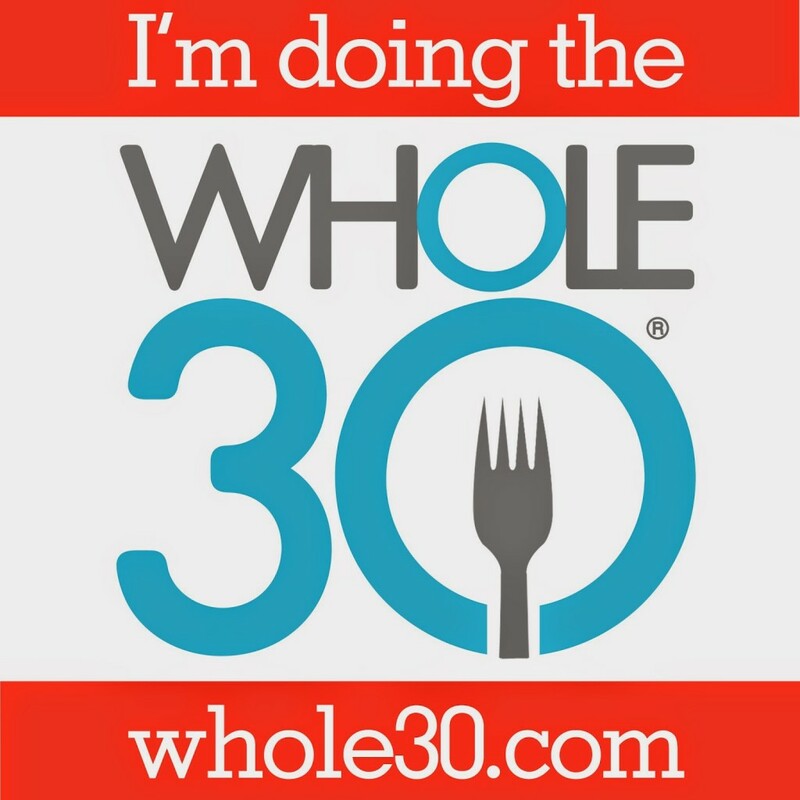 I am starting again this February with Whole30! I’m on Day #2. * How I can get my writing to be a more consistent part of my day. As well as exercise and housekeeping. I need some better routines, I think! * Just starting to think about Lent. It’s only two weeks away, you know! 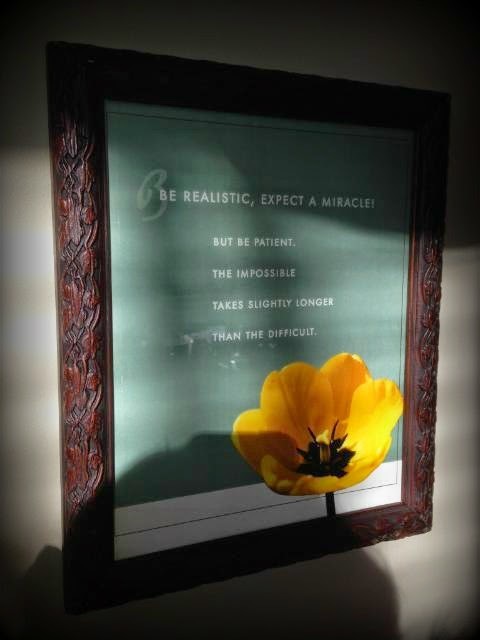 I saw this quote hanging on the wall of my doctor’s office. It really spoke to me. * My hair is now long enough for a ponytail! * The Well by my new friend Stephanie Landsem. This is the first book in a trilogy of historical Biblical fiction. I am only on chapter 3, and I already really, really like it! 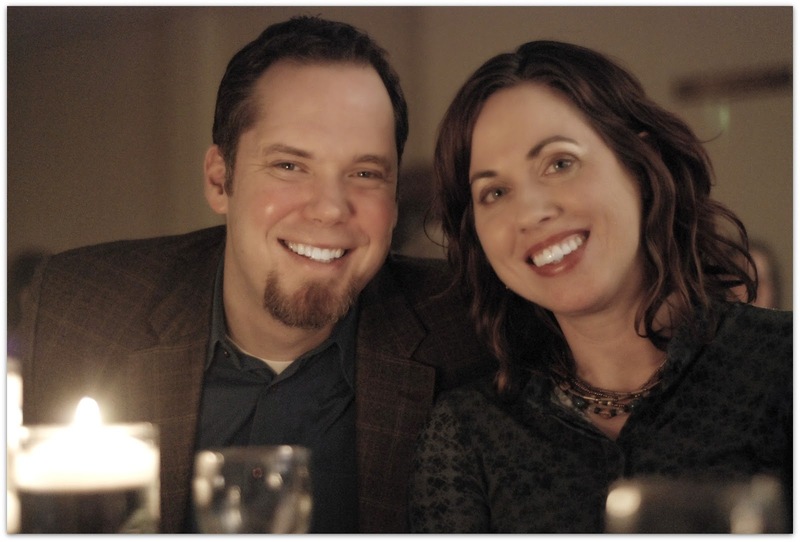 * It Starts With Food by Dallas and Melissa Hartwig. This is a book all about the Whole30 program, and it’s very interesting! I am doing this for weight loss but also for some health issues I am battling. It is giving me some hope that I can feel better! 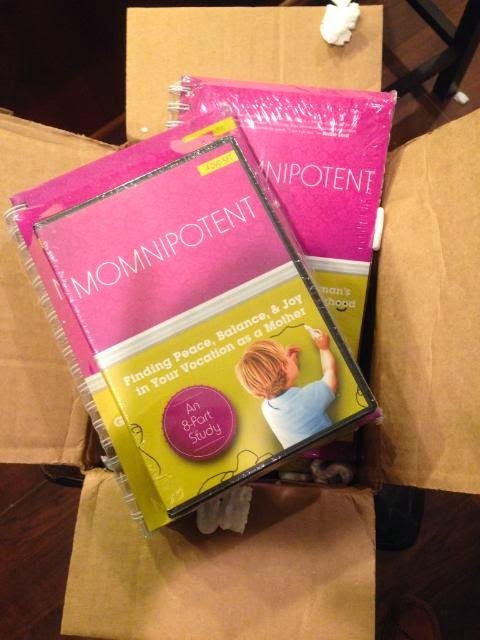 * Momnipotent by Danielle Bean. I just started this book and accompanying study with five wonderful women. The message of this book is a must for moms! It is filled with truth and encouragement! I have set a reading goal on Goodreads: 15 books in 2015. I know it’s not a lot, but I am working on small steps and being realistic in my real life. Are you on Goodreads? If so, let’s connect! Yesterday, I tried a crazy combination for breakfast: homemade mayo and dill pickle on top of eggs. Two of my girls wanted to try it, so I gave them each a bite. One of my girls does NOT like eggs at all, and she LOVED these eggs! She even asked to have them this morning for breakfast! Score!! We had Chocolate Chili last night before the Super Bowl, and my clan gobbled it up! Tonight, we are having Italian Port Roast, and I am making mashed cauliflower (at least for me, but I will certainly share it with whomever wants to give it a try)! Poor dear was pretty sick last week. 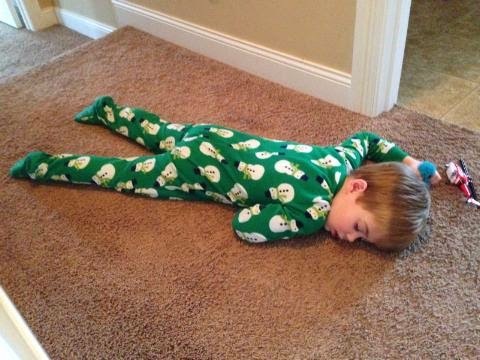 So sick that he passed out on the hallway floor! Feeling so much better this week. Praying for continued health for my family. I am linking up with Jenny at The Littlest Way today! Hi Amanda! 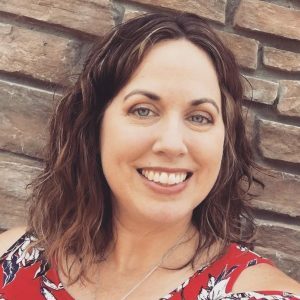 Welcome to my little blog! I am so glad you stopped by! I just started Adoration during Advent. I love it, but I admit that I have forgotten a few times, because it just hasn't been regular enough in my weekly routine! (Poor Jesus!) But I do love the quiet and the peace. I go at 9 a.m. Friday mornings. My kids are at school and I am still alert and fresh in my thinking and reflecting! I understand about the routines. I am not as consistent as I would like to be. It is something that I need to get back to, but it can be hard when life is so crazy! We can definitely pray for each other! God bless! A lot of your issues sound like my issues. I just came home from a rosary guild meeting and all I could think while I was there was, "I should be sewing instead of being here." I have a one-track mind right now and I am so afraid these months between now and the wedding are going to vanish! Our parish is building a perpetual Adoration Chapel and it's been on my heart to sign up, but I know myself too well to sign up for the spots that are probably vacant — 2 am, 4 am. Do you go at night? Hi Barbara! I know I owe you an email!! We relate on so many levels, don't we?! I can so easily get distracted by something I am focused on! Can't let it go … My brain keeps veering off in that one direction! I pray you can find some joyful peace in all of the preparations! 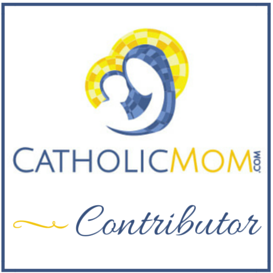 We do not have perpetual Adoration, yet. We are working on it, but it is really hard … I could never sign up for a middle-of-the-night slot! Like I told Amanda, I go at 9 a.m. Friday mornings when I am feely alert enough to focus! It's so wonderful, though; truly! Doing the Whole 30 too, I'm on day 11 and wow! Weight began just falling off around day 5, encouraging you. You can do it and you'll feel great! Oh! It is so good to hear from someone a little further ahead on Whole30! So encouraging for me!! Thank you! God bless you, Erin! Thanks so much for stopping by! Thank you for sharing all your yummy recipes, keep 'em coming!